Will the real Michelle Bachelet please stand up? 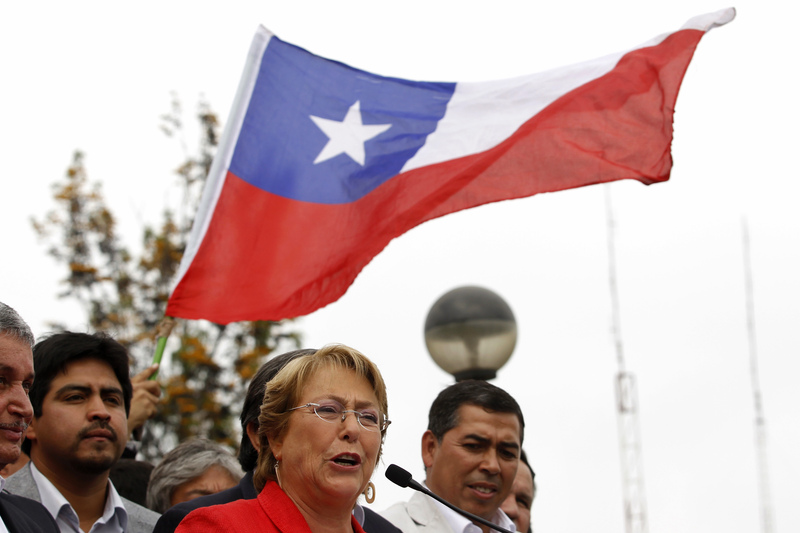 After navigating Chile through the 2008 crisis she now wants another shot as president. But on education, tax and the constitution she wants to reverse factors that have allowed Chile to stand out from its neighbors. Striking a balance between business and students will be key. Michelle Bachelet, president of Chile from 2006 to 2010, won a big lead in the first round of Chile’s presidential election on Nov. 17 and is expected to win the runoff due on Dec. 15. Her New Majority coalition won an absolute majority in Congress, but not the 57 percent needed to change the country’s education structure, nor the 60 percent needed to change the electoral system, nor the 67 percent needed to amend the constitution. Bachelet’s proposed policies include tax increases of 3 percent of GDP, with an increase in the corporate tax rate to 25 percent from 20 percent to finance free higher education; to return high-school education, currently financed through a voucher system, to state control; and to amend the constitution. Chile currently ranks seventh on the Heritage Foundation’s Index of Economic Freedom, 20th on Transparency International’s Corruption Perceptions Index and 34th on the World Bank’s Ease of Doing Business Index. Chile’s third-quarter GDP grew at an annual rate of 4.7 percent, but domestic demand expanded at only 1.3 percent from the previous year. The country’s balance of payments recorded a deficit on goods and services of $1.4 billion in the third quarter, according to the central bank.